Irish Car Rentals is an Irish owned business founded car & van rental business in 1984 and served customers for 30+ years. We have a fleet of over 5000 vehicles from our network of 18+ rental locations in Ireland and carry a full range of vehicles; Economy, Compact, Intermediate, Full-size, People carrier and SUV. 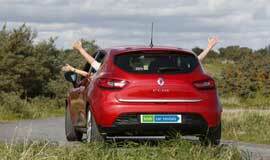 The vehicles are supplied by Europcar. All rental cars are inclusive of Collision Damage Waiver (CDW), theft waiver, third party insurance, unlimited mileage and tax. Optional extras; GPS navigation systems, additional drivers, baby/child seats and cancellation cover are additional costs to the rental price. Irish Car Rentals has car hire desks at the following locations; Dublin airport car rental, Shannon, Knock (Ireland West), Kerry (Farranfore) and Cork Airports. Also rental desks at the following cities; Athlone, Cavan, Cork City, Dublin City Centre, Dublin City North, Drogheda, Galway City, Navan, Naas, Waterford, Sligo, Clonmel, Limerick, Wexford, and Kilkenny. irish carrentals website is a responsive website, making Irish Car Rentals accessible on multiple screen sizes; desktop, mobile and tablet. Executive Trust Ltd is the owner of Irish Car Rentals, www.gocar.ie, www.carhire.ie, www.carrentalireland.com and has the Europcar franchise in Ireland. 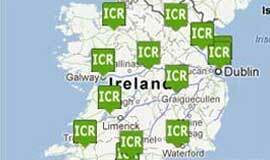 Irish Car Rentals is a member of Car Rental Council of Ireland (CCI), a representive of the trade organisation for the car rental industry. 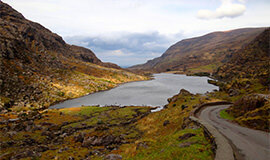 Car Rental Council is a member of the Irish Tourist Industry Confederation and works closely with Fáilte Ireland. Being a member means Irish Car Rentals is compliance with code of practice and committed to providing a high quality car rental service to customers.